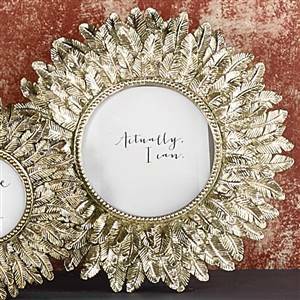 Add a touch of glamour to your home with this beautifully detailed gold feather design photo frame. Diameter 30 cm. 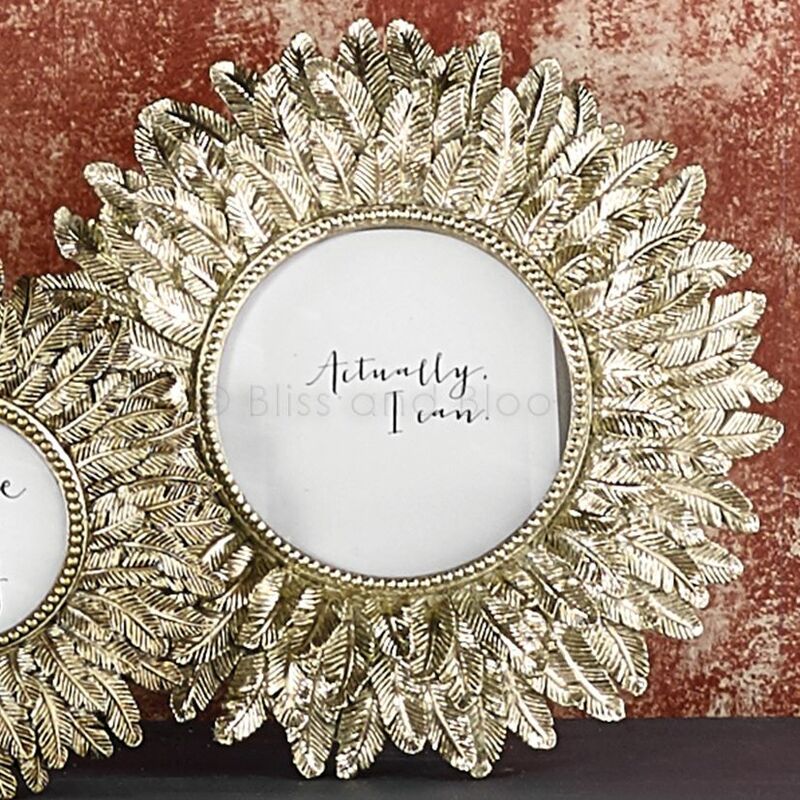 Complete the look with it's matching wall mirror and smaller frame.